Did you know that if your pet has some dirt in his eye, you can use a little blue or red flashlight to see it? To remove dirt, use a saline solution. Put the bottle near, but not in, your dog’s eye and squeeze the bottle gently. Be sure that the bottle is angled downward, so that gravity will assist you in flushing out the debris. 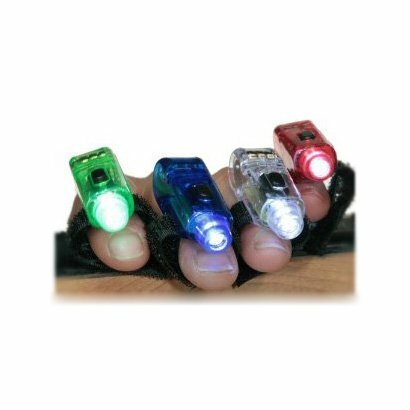 You can also use the same red or blue light to locate any kind of foreign object (thorn, splinter, tick) in your dog’s pads or fur. After you find the object, remove it swiftly and firmly. Clean the wound with antiseptic and apply antibiotic salve, then bandage the wound or bootie the foot. Because dogs don’t have thumbs, it can be hard to get a bandage to stay on a paw. Push up on the bottom of the foot and wrap with a gauzy bandage from the joint above the ankle down to the pad and then back up the leg. But be careful not to wrap too tight, you’ll cut off circulation and your dog’s foot will swell. ok I am confused about the flashlight part. Do you mean a flashlight that shows blue light or red light? If so, where do you get them? It’s a small keychain “squeeze” flashlight that has a very small blue or red LED light in it. Not strong to hurt any puppy eyeballs, but effective in showing a foreign object in the eye or coat.